Each new year brings new opportunities and new ideas. This year is no exception. In fact, I've been spending quite a bit of time thinking about The Marketing Blog and the changes that can benefit those who read the blog as well as the advertisers that want to reach you. For those of you who follow my blog, you know that I'm a minimalist when it comes to advertising and I have turned down many advertisers in the past. Even since the days when I started with online marketing, I've been very careful never to sell names or deal with unscrupulous advertisers. As a result, people trust me and the content on my blog. This is important to me and everyone in our community. I'm always looking for ways to connect audiences with information that may be beneficial though- and this year I'll be updating the blog to bring you more of what you want. Overall I'm pretty happy with the design of the Marketing Blog. What's nice about having your own blog is that you can keep tweaking it until you have something you're really happy with. I've avoided the "templated" approach as I want something unique that you won't find anywhere else. My plan is to add some advertising units or take the display ads I currently have for my own services and open them up to more advertisers who provide relevant products and services to the marketing community. I'm considering some self-service type solutions to provide the flexibility needed to create a win-win situation for everyone. I'd also like to experiment with additional content. Whether it's adding access to special reports, marketing magazines, or resources, additional content is important to keep everyone informed about today's marketing landscape. I'm also looking for more guest posts this year. I can sit here and write content everyday all day but no one is an expert on everything. This is especially true when it comes to marketing. This year I'll be doing more to attract some of today's leading marketing experts and hope you find the additional content worthwhile. I love hearing from all of you - my blog readers. Let me know what additional content, features, and information you're looking for me to cover this year and I'll find the experts to educate all of us across any marketing related topic. 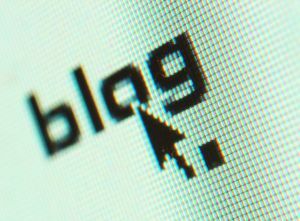 From mobile marketing to loyalty programs, The Marketing Blog has it covered. This is a very nice post. I looking this type of article. It is very useful for us. Thanks. Informative indeed and I think online marketers should add some new and unique knowledge in their cellar because this new chapter of our living those changes is inevitable. Amazing blog, very interesting post. your article are so useful. 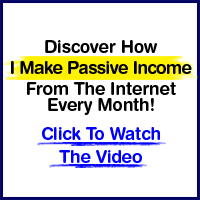 Blogging really can make you big money. but, that's if your blog have a good position on search engine. I just create new blog and need SEO services to make my blog have a good position. Anybody knows where i can SEO services that realy work? I was thinking now what is really my role.That was a very cool article and i was thinking it now.2012 is really a great opportunity for all online marketers.